The Australian Yoga and Music Academy is a unique place of learning where students of all ages are given the opportunity, knowledge and inspiration to express themselves with freedom. 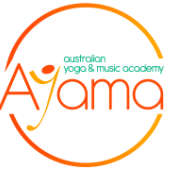 AYAMA was founded by Anna Carson, a professional pianist and qualified yoga instructor, with the desire to share the transformative power of both yoga and music with students of all ages. The word ayama comes from the ancient Sanskrit language and means to extend or develop without restraint. The Australian Yoga and Music Academy is built on this philosophy and offers the highest quality education in yoga, classical music and, at times, a creative integration of the two! We welcome you to explore the unique offering that AYAMA delivers and invite you to find out more. Anna is a registered teacher with Yoga Australia. Private health fund rebates are available from selected Health Funds.